In 1860, Elizabeth City and Plymouth were the most populated towns in the Albemarle region. Residents of these towns were fishermen, laborers, merchants, a few large plantation owners, and the majority of people farmed. Popular crops were cotton, potatoes, and corn. Slaves and free blacks made up 48 percent of the region’s total population. Taken from the diary of Annie Darden of Hertford County on March 4, 1861. 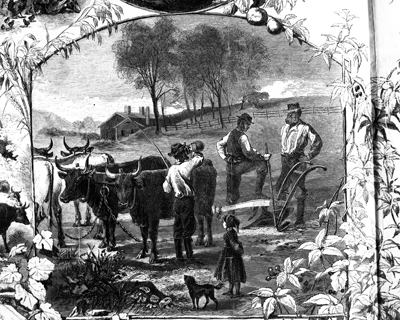 Prior to the Civil War, issues such as tariffs, states rights, and slavery slowly undermined social and economic relations between southern states that were agriculturally dependent and relied heavily on slave labor and northern states that were increasingly dependent on industry. 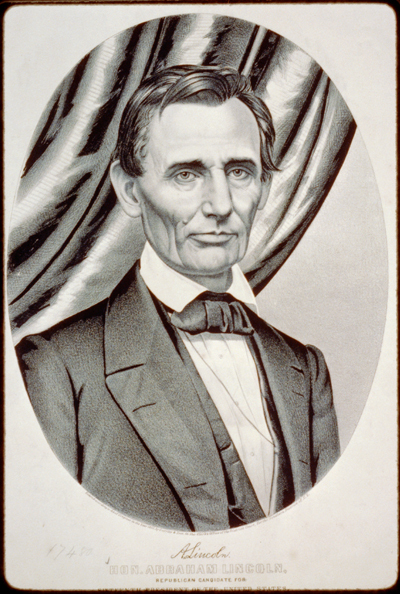 Tensions peaked with the 1860 presidential election of Republican Abraham Lincoln who opposed the expansion of slavery into the western territories. Most North Carolinians, including those from the Albemarle region, viewed the election as an insufficient reason for leaving the Union; however, the election perpetuated the fear of slave uprisings within the region. 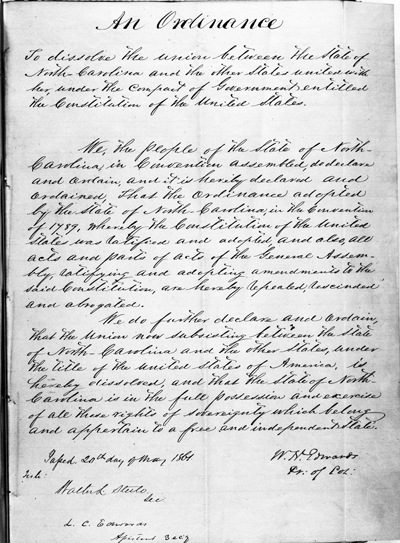 North Carolina Governor John Ellis in response to a telegram from the United States Secretary of War Simon Cameron requesting regiments of North Carolina soldiers, April 15, 1861. Governor Ellis could not officially refuse the request from President Lincoln. According to the North Carolina constitution, the General Assembly was the only body that could authorize a denial to the President. Repeated crises and mounting tensions eventually led South Carolina, Mississippi, Florida, Alabama, Georgia, Louisiana, and Texas to meet on February 4, 1861, and form the Confederates States of America. North Carolina’s deep ties to the United States led to much debate about secession and caused divided allegiances. With the firing on Fort Sumter, an announced blockade of the Southern coastline, and Lincoln’s demand for troops to force the seceded states back into the Union, North Carolina left the Union on May 20, 1861. Within four months, Virginia, Arkansas, Tennessee, and North Carolina had joined the Confederacy.